Gain even more savings by bundling your accommodations and flights. Expedia has loads of amazing Bielatal travel packages that'll save you time and give you more money to splurge! When you book a package deal on Expedia, you can save as much as 40,450 YEN*. With more than 400 airline partners and 321,000 properties worldwide, our global database can help get you where you need to be. Preparing for your trip to Bielatal? Looking for some recommendations about what to do and see when you're there? That's what we're here for! If you wouldn't mind a bit of spiritual enlightenment, make your way to Berggiesshuebel Church. Who knows, you might even discover the answers to a couple of life's biggest questions! There's a wonderful range of things to do in and around this destination. Since the advent of civilization, humans have mined the earth for its natural resources. Take a guided tour of Marie Louise Stolln Mine and hear true stories about those who ventured here to chase their fortunes. Still got some time to spare? The preservation and protection of valuable areas and species is vitally important. Enjoy the peacefulness of nature at Hochstein-Karlsleite Nature Reserve and see how many animals call it home. Locating a comfortable place to stay is often the key to the perfect cheap vacation or luxury getaway. With just 2 properties in Bielatal, be sure to book as soon as you know your dates. Out top picks are the PanoramaHotel Lilienstein (Ebenheit 7) and the Hotel Ostrov (Ostrov U Tise 12). They come with terrific reviews and first-rate amenities and services. If you're flying in, you'll probably be hitting the tarmac at Dresden Airport (DRS). After you've gotten your luggage and headed outside, the main streets of Bielatal will be waiting 20 miles (32 km) away. 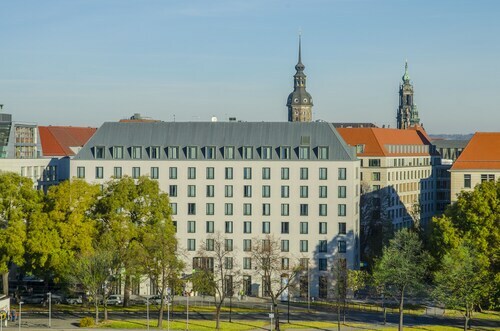 Directly connected to Dresden's World Trade Center complex, this hotel is about 1 km (0.6 mi) from the Zwinger Palace, Green Vault, and Old Masters Picture Gallery. The rebuilt Frauenkirche is 1.4 km away. Located in Altstadt, this spa hotel is within a 15-minute walk of Altmarkt and Dresden Castle. Church of Our Lady and Semper Opera House are also within 1 mi (2 km). Hauptbahnhof Nord Station is only a 2-minute walk and Walpurgisstrasse Station is 3 minutes. This hotel is in Dresden, facing the Canaletto view of the city’s skyline. Hofkirche is 700 meters away, and the Theaterplatz and the Semperoper are within 1 kilometer. This central Dresden hotel is adjacent to the Elbe River and Brühl's Terrace. Frauenkirche is next door, and the Albertinum and Neumarkt are both within 300 meters. This Dresden hotel enjoys an excellent location nearby Semperoper, Altstadt, Residenzschloss and Frauenkirche. Zwinger Palace is a brief walk away. 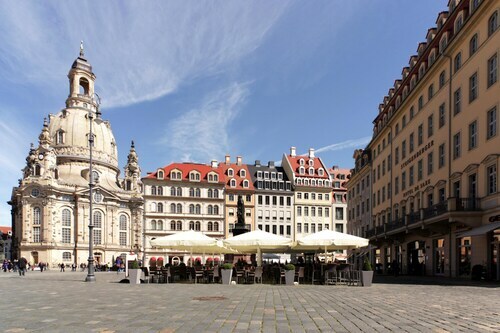 Located in Altstadt, this hotel is within a 10-minute walk of Dresden Castle and Church of Our Lady. Old Masters Picture Gallery and Zwinger Palace are also within 15 minutes. Prager Strasse Station is only a 2-minute walk and Altmarkt Station is 5 minutes. 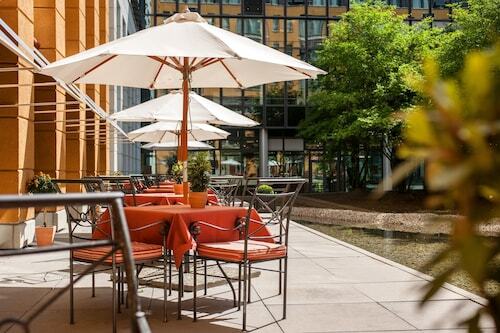 Housed in a historic building, this luxurious, pet-friendly, business hotel is on the Neumarkt, across from the Frauenkirche. The Residenzschloss, the Kreuzkirche, and the Albertinum are within 350 meters, and the opera and museums are nearby. Located in Altstadt, this aparthotel is steps from Dresden Elbe Valley and Church of Our Lady. Semper Opera House and Dresden Castle are also within 10 minutes. Synagoge Station is 6 minutes by foot and Altmarkt Station is 6 minutes.